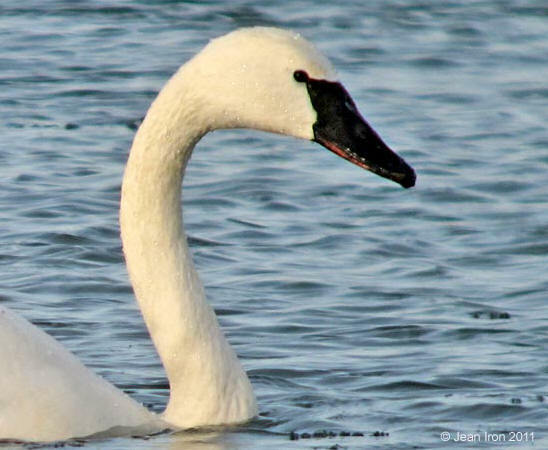 The left bird is a Tundra Swan, but what is the right bird? 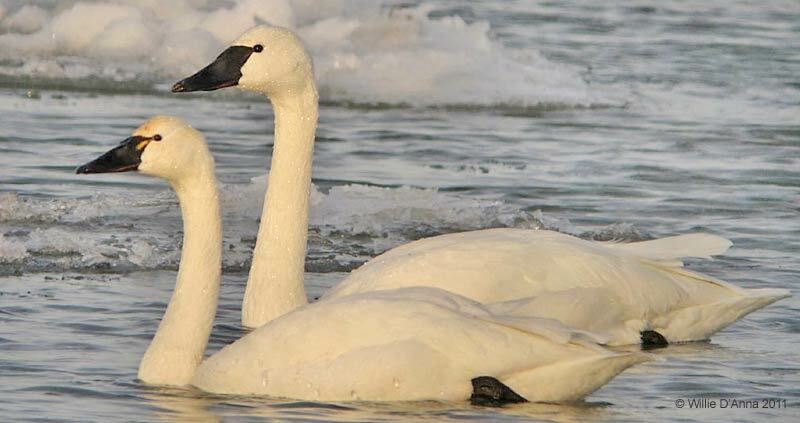 On 17 January 2011 these two swans were on the upper Niagara River in Ontario with other Tundra Swans. This is a traditional location for Tundra Swans in late fall and early winter. The right bird appeared larger in some photos. Photo by Willie D'Anna. Scroll down for 5 more photos. All photos on this page were digiscoped. Same two birds as in first photo. Photo by Willie D'Anna. Same two swans as above. Photo by Willie D'Anna. This is the right bird in the above photo whose ID is in question. 17 January 2011. Photo by Jean Iron. Same bird as above. Tundra or Trumpeter? 17 January 2011. Photo by Jean Iron. 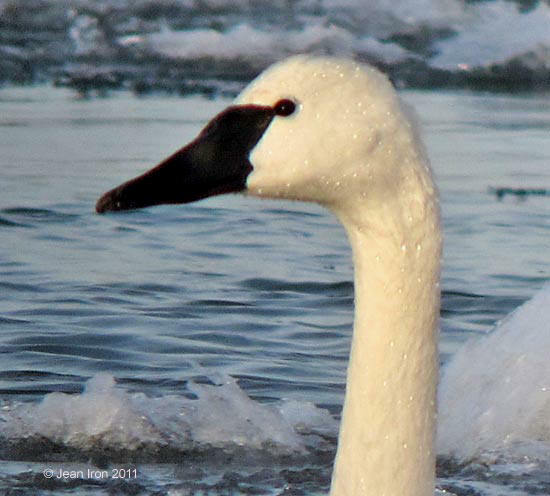 We posted the photos on ID Frontiers and the responses concurred it is indeed a Tundra Swan. The top photo showing the bird-in-question as larger than the Tundras is photo size illusion and in fact the bird was about the same size as the Tundras. 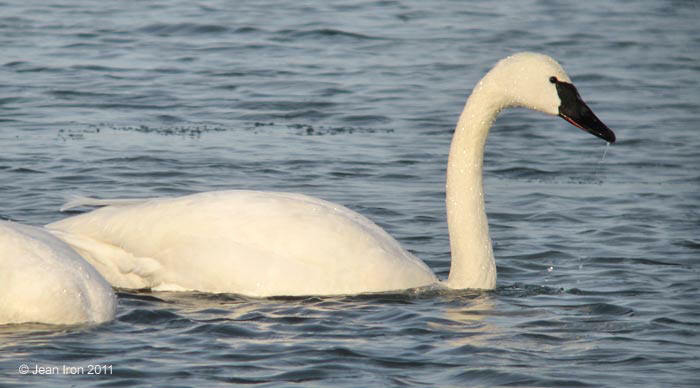 Other head and bill features are consistent with Tundra Swan.